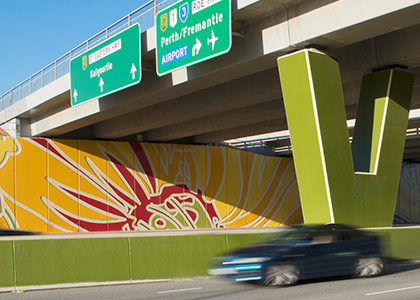 Comprised of three new road bridges and a new bridge over rail, the new interchange at Midvale, Western Australia, enables Roe Highway traffic to flow freely over Great Eastern Highway and efficiently and safely integrates connecting traffic in all directions. 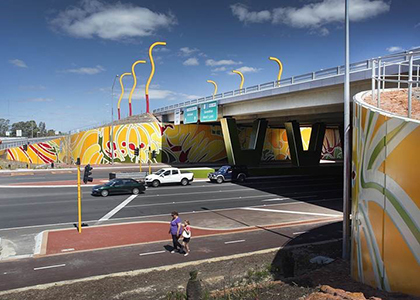 The design for this interchange, along with associated modifications to the local road network, was developed in consultation with the local community. 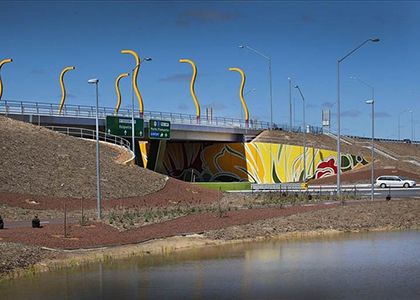 The new Great Eastern Highway-Roe Highway interchange makes a bold visual statement for locals and visitors to Western Australia. 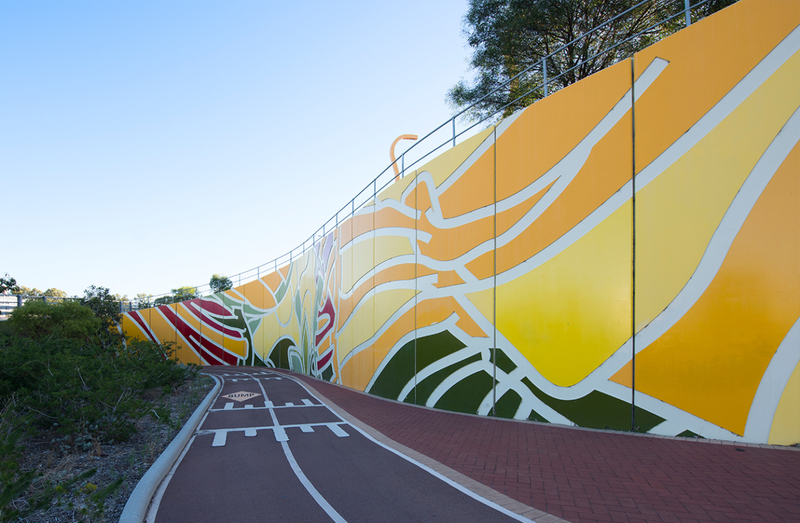 The colourful artwork adorning bridge abutments and noise walls by artist Anne Neil reflect a native wildflower theme and provides a vibrant entry from the east and an iconic facility for the Hills and Midland. 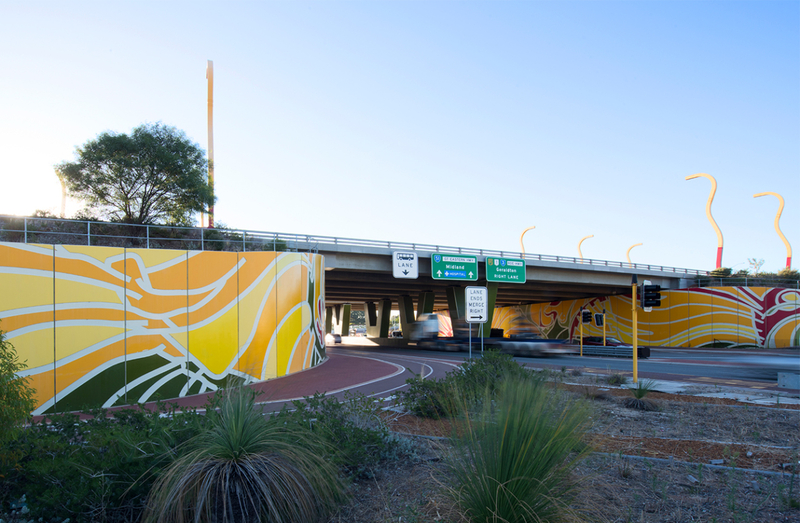 The artist’s aim for the project was to create a gateway statement to the Perth metropolitan area that would celebrate Western Australia as the wildflower state. 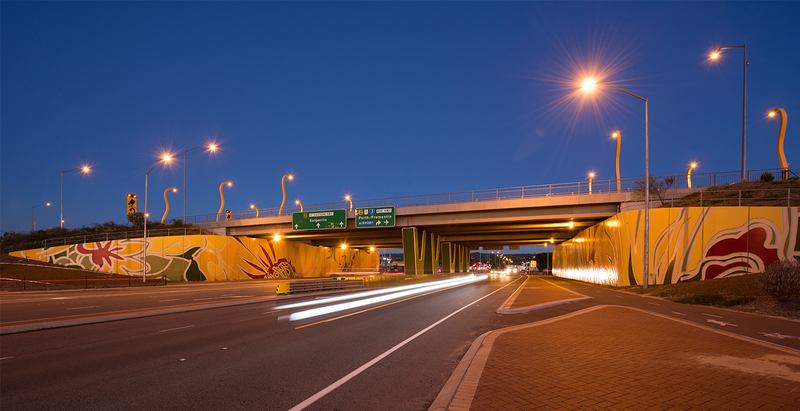 Sculptured street lights that mimic the lights at the Roe Highway-Kwinana Freeway interchange, have also been erected at the interchange and provide a strong contrasting vertical presence to an essentially horizontal landscape. This project was the recipient of the 2012 Engineering Excellence Award.